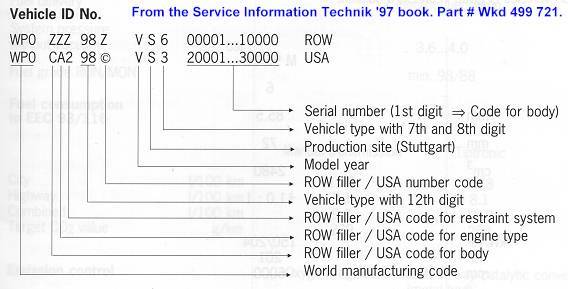 Here's the information I wanted when I first started looking at the Boxster... and lots more information now that I own a '97 Boxster. The above 2002 options have been transcribed from the official U.S. dealer options lists. If you have access to newer, official information, write me at berkeley(at)industryfigure.com so that I can update this information. 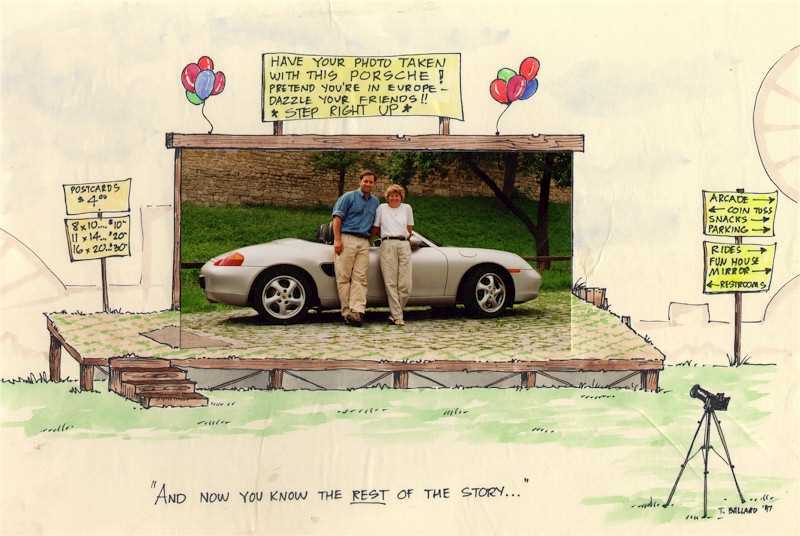 Thanks to "rons" for sending the 2002 Boxster Options information. Get more option and pricing information from the Kelly Blue Book or Edmund's web page. Berkeley's 1998 TBHL I photos. I'm a member of PCA, the Porsche Club of America, California Central Coast Region. Our region's name is the longest in PCA. Here's our logo. 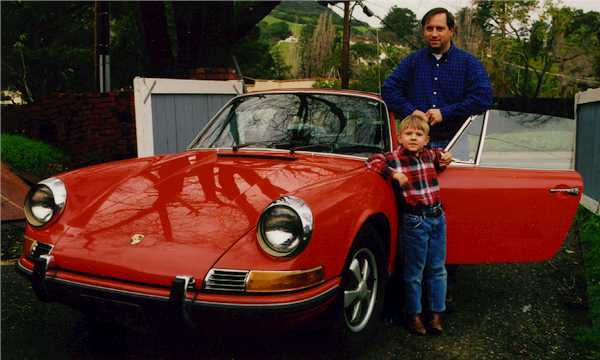 February 1998: After 22 years, I get to drive the 911. I did my Dad a favor and took care of his first major service in quite a while. What a fantastic car. The Tangerine Targa is fixed and on it's way back to Los Angeles where I'll get my Boxster. I miss it. 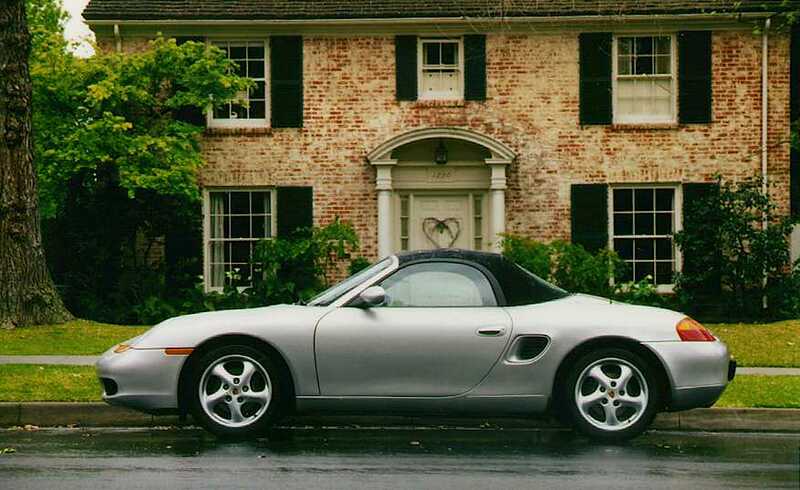 An acquaintance has young boys who are crazy about the Boxster. When they found out their Mom knew a guy with a Boxster (me), they had to see it. I gave them each a ride, and they sent me their thanks. 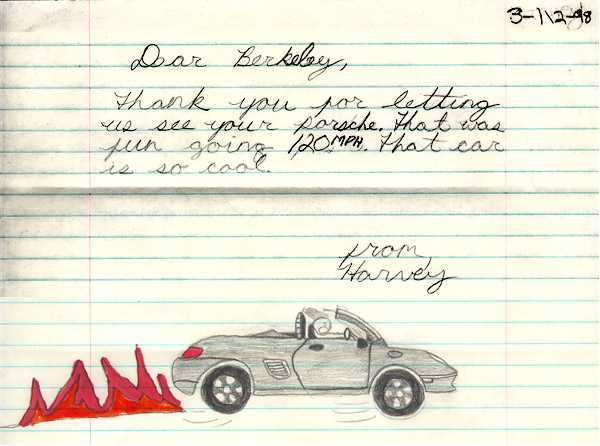 Here are the letters from: Larissa (she's not crazy about the Boxster, but took a ride anyway), Harvey (very nice drawing), Taylor, and Winston. How does a young guy get hooked on Porsches? 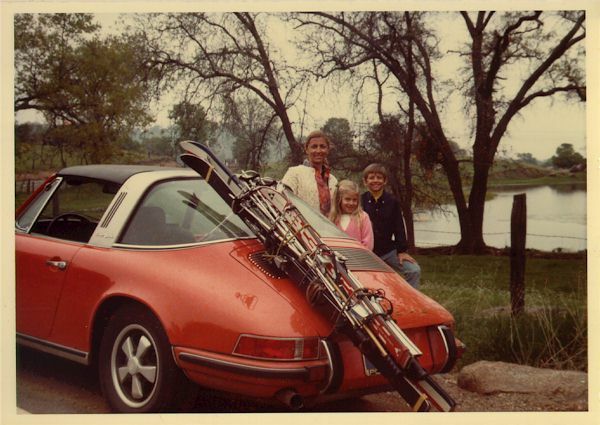 One way is for his father to take the family skiing in the 1971 911T Targa. 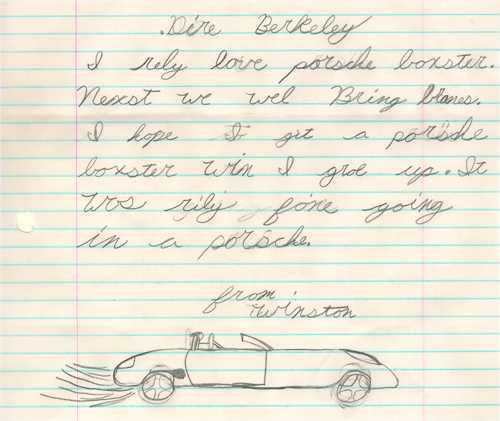 I was 10 years old and already a Porsche fanatic. My dad, who took the picture, still drives this car to work every day. My friend Terry thought maybe we were joking about buying a new Boxster. He embellished the photo-postcard we send him. Later, he sent me this photo of his new ride... a Honda Valkyrie. 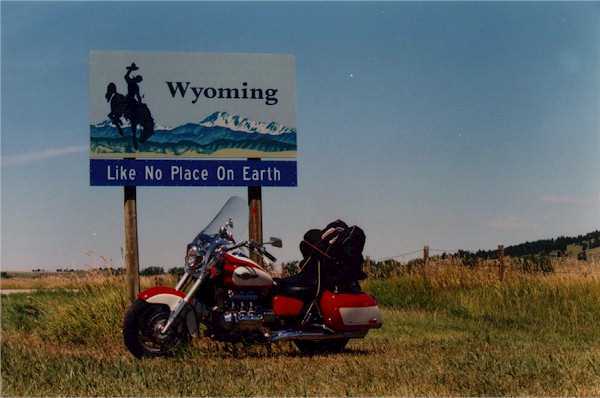 His GoldWing died (spraying oil and coolant on the Harleys behind him) in Idaho on the way to Sturgis, SD. My family likes to hang out in Big Wonderful Wyoming. How I got to see and drive my new Porsche in Europe. And (sorry) photos of my cute wife and I traveling through Germany, Austria, and Switzerland. Fellow Tourist Delivery Participants! Send me your photo. If you'd like, mail me at berkeley at industryfigure dot com.